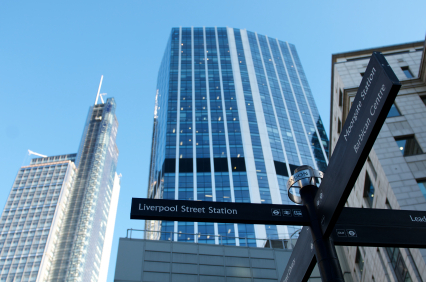 Although inhabited for centuries, the area around Liverpool Street began to gain importance during the Middle Ages, when it was established as an important trading centre and as a convenient stop for travellers and merchants. From the end of the nineteenth century onwards, Liverpool Street experienced rapid growth, which was mainly due to the inauguration of the railway station. 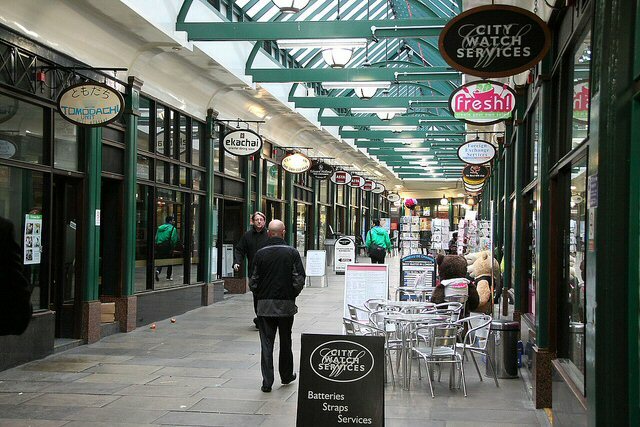 Nowadays, Liverpool Street is home to a larger number of corporations, hotels, restaurants, and entertainment venues. Liverpool Street is considered one of the gateways to the City of London, and it is sometimes considered a part of the capital’s financial district in its own right. There are numerous meeting rooms and conference venues in the area that cater to business people, convention delegates, and employees from nearby blue chip companies. Some important firms in the finance, business, and banking sectors located in Liverpool Street include UBS, Forex Expert, Regus Business Centres, The Japan Bank, Mizuho Corporate Bank, Natwest, Barclays Bank, Panmure Gordon Investment Banking, Shinkin International, Eden Financial, Halifax, H. S. Nordbank, and Bank of Tokyo Mitsubishi. Once again, we are in the run-up to Christmas. While most of us have a good idea about how to decorate our homes during this special period, decorating the office can require additional planning. In this article you will find a quick guide to decorating your workspace and making it reflect your company’s character as well as the spirit of the holiday season. Depending on the space available at your office and the budget allocated to Christmas decorations, you may want to go for only certain types of Christmas decorations or for full sets. The most popular decorations are wreaths, garlands, wall florals, desk floral displays, and Christmas lighting. Of course, having a Christmas tree in the office is almost compulsory, and the variety in shape, size, and pricing means that you are guaranteed to find something that is just right for your office. Wreaths can be placed on individual workstations, on balconies, in the reception area, or on doors. Garlands are the perfect complement to Christmas wreaths but can also be put up on their own to add a subtle festive touch. Desk floral displays are perfect to have in the reception desk, whereas wall florals are ideal decorative solutions for small workspaces. 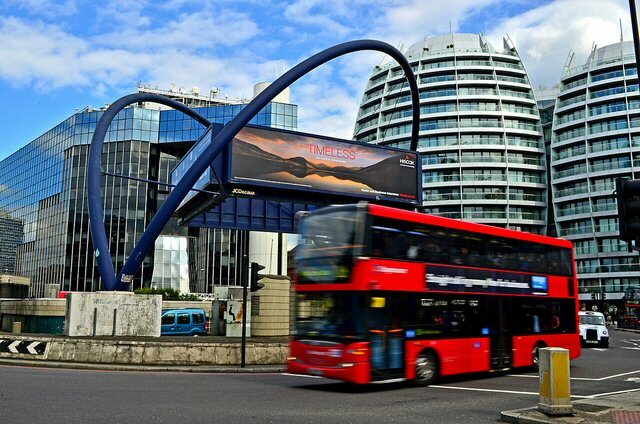 Located in the City of London, Fenchurch Street runs between Aldgate to the east and Lombard Street and Gracechurch Street in the west. With a predominately urban feel, Fenchurch Street is lined by a number of office buildings. Strongly rooted in the historical evolution of London, today the street is home to several offices, pubs and shops. Much of Fenchurch Street has been gradually replaced with office towers and shops. Originally built where Roman London once thrived, Fenchurch Street has constantly evolved throughout its history. At the western end of the street at the junction with Lime Street, St. Dionis Backchurch once welcomed parishioners. The medieval church was rebuilt after the Great Fire of London in 1666 and eventually demolished in 1878. St. Benet’s Church at the southwest corner of Fenchurch Street and Gracechurch has also been removed, replaced by shops and offices. As Christmas approaches, finding the most appropriate Christmas gift for friends and family can turn into a complicated task. Finding the perfect Christmas present becomes even more complex when it comes to corporate gifts for your business partners and customers. Increasingly more, charity gifts are becoming the preferred option for many companies. 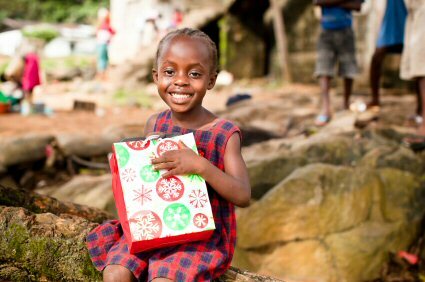 In addition to helping make a difference for those in need, Christmas charity gifts can help enhance the corporate image and reputation of your company. Since there are dozens of options available, in this article we aim to provide you with some useful suggestions so that you can choose the most appropriate Christmas charity gift. By purchasing a gift from The World Land Trust, you can help fund conservation projects and protect endangered wildlife habitats. Each gift pack includes a “land purchase certificate”, which details the amount of land your gift is helping protect, as well as a unique greeting card. Gifts start at £25. The British love tea but only four in ten office workers make a hot drink for more than one colleague every day in the UK. Are some of us ‘social tea drinkers’, prepared to sip tea just to get all the office gossip? As the International Tea Day – 15 December – is getting nearer, we at London Office Space decided to make ourselves a cup of tea (that’s how long it will take you to read through this tea infographic!) and get all the tea facts right. Fancy a cuppa? Cannon Street runs for approximately half a mile through the southern side of the City of London. There are historical records that point at the existence of this street since the medieval era. At that time, the street was known as “Candelwrichstrete”, literally meaning “Candle Maker Street”, in allusion to the street’s most popular trade. Over the years, and as Middle English evolved and became mixed with local dialects, the name of this street changed into Candlewick Street and later into its modern name. The first mention of Cannon Street can be traced back to the seventeenth century, when the street was still populated by candle makers and drapers. The street’s location near the River Thames and the installation of the railway station towards the end of the nineteenth century made of Cannon Street an important centre for trade and commerce. At the turn of the twentieth century, the street was lined with warehouses and industrial facilities, some of which remain to this day. Nevertheless, today most of these facilities have been converted into modern office buildings, as Cannon Street is a focal point for business activities within the City of London. As its name suggests, Old Street has been a highly transited road for centuries. The first records date from the thirteenth century, when Old Street was part of a Roman road that linked the settlements of Silchester, near Basingstoke, and Colchester. As London evolved into an important metropolis, Old Street became one of the capital’s main thoroughfares. The western side of the street was widened towards the end of the nineteenth century in order to accommodate the increasing amount of traffic and the shops that began to appear in the area. 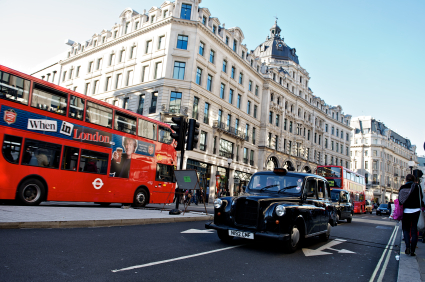 Located in the trendy West End of London and being over a mile long, Regent Street is one of the most popular thoroughfares in the British capital. Regent Street has been an important landmark since its creation in 1825. The street was designed by architect Josh Nash, who was also the mind behind other impressive buildings like Buckingham Palace or the Royal Pavillion in Brighton. Currently, Regent Street is a protected conservation area and part of the Crown Estate, as every single building along its length is listed. The Broad Street area is located in the heart of London’s financial district and is comprised of two separate streets. 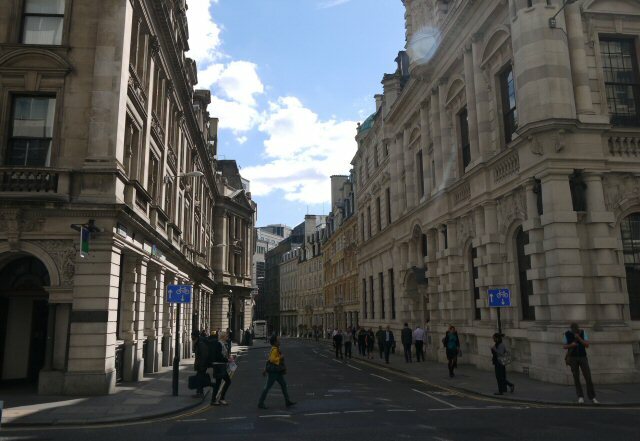 Old Broad Street runs from Threadneedle Street to Wormwood Street, while New Broad Street is a narrow passageway just north of the London Wall. Broad Street was one of London’s medieval wards, covering an area that roughly corresponds to the modern EC2 postcode. Today, the ward still exists as such, and it has preserved the four liveries (trade associations) that historically made up the Broad Street ward. These liveries include the Company of International Bankers, the Company of Furniture Makers, the Carpenters’ Company, and the Drapers’ Company. These associations have evolved from medieval guilds that had strong links with religious institutions to becoming organisations of international standing that abide by the principles of modern business practices. Historically, Goodge Street was a shopping quarter. It is centrally located to a number of London’s landmarks and attractions, including the University of London to the east, Regent’s Park to the northwest, the British Museum to the southeast, and the shopping district along the world famous Oxford Street to the south. Goodge Street is located in Central London’s Fitzrovia neighbourhood, a traditionally bohemian area that has been home to various authors and poets, including Virginia Woolf, George Bernard Shaw and Arthur Rimbaud. English composer Thomas Linley lived at Number 40 on Goodge Street between 1793 and 1788. Today, the area includes a mix of residential and commercial properties, including a variety of business. 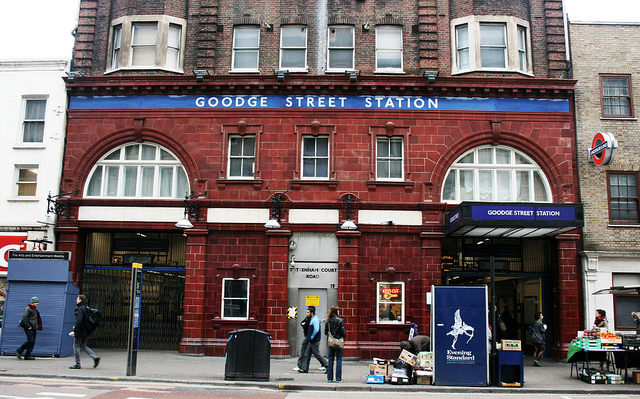 Goodge Street is bound by Tottenham Court Road to the west. To the east, Goodge Street emerges as Mortimer Street following the junction with Newman Street. The street forms part of the A5204 road and is within the London Borough of Camden. The road stretches under half a quarter of a mile in length and features a mix of uses, including residential, offices, retail and grocery shops, pubs, and restaurants.